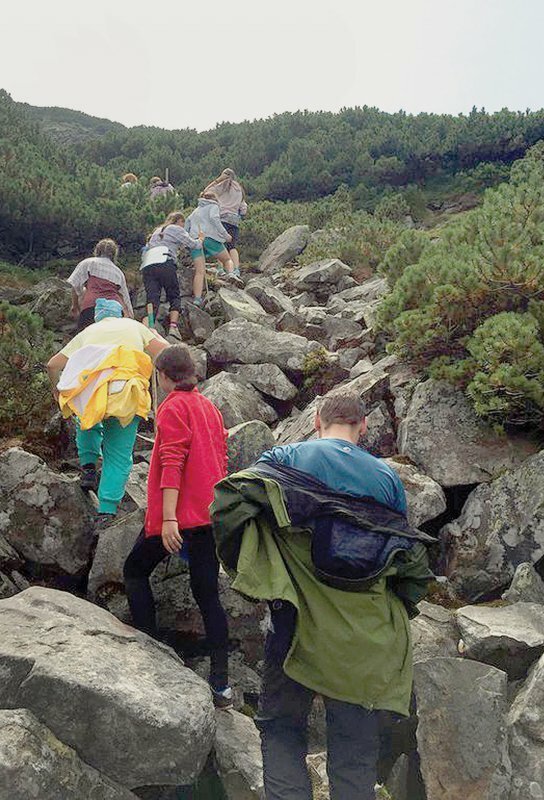 Summer Holidays in the Carpathians: the extreme and the beautiful in accord. 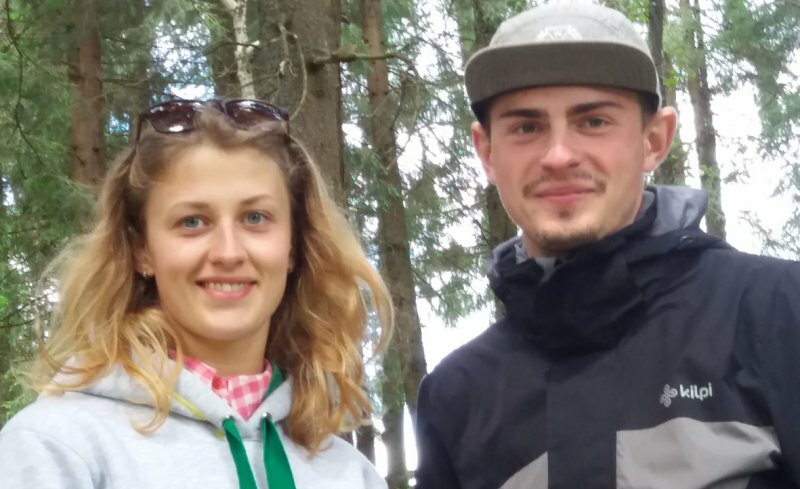 I have gotten acquainted with Yulia Osipchuk (FL) and Dmytro Chernovyi (TEF), the fifth-year students, in the tourist camp “Globus”, they came there for “nature, people and emotions”. Yulia is here for the third time and Dmytro is for the second. Both student dreams to study at the instructor school and continue their mountains exploration. They want to wind down as far as possible from civilization, without phones and Internet. 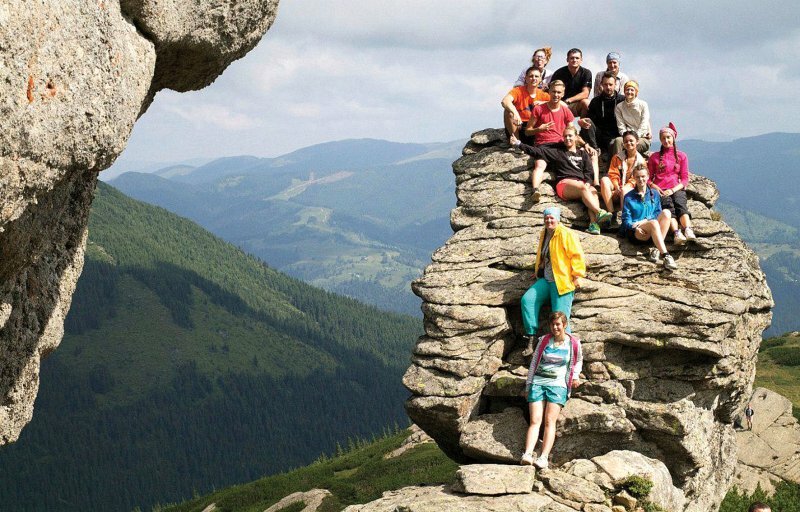 Dmytro believes that mountain hiking is a great opportunity to assay your strength. It gives your self-possession and brings together people with different life stances and preferences. Yulia likes mountains because there you can be independent and self-reliant. The survival skills learned in the mountains will be useful in everyday life. She recalls with a smile her first borsch cooked on fire and how she had been soaked to skin after heavy rain on the rout. 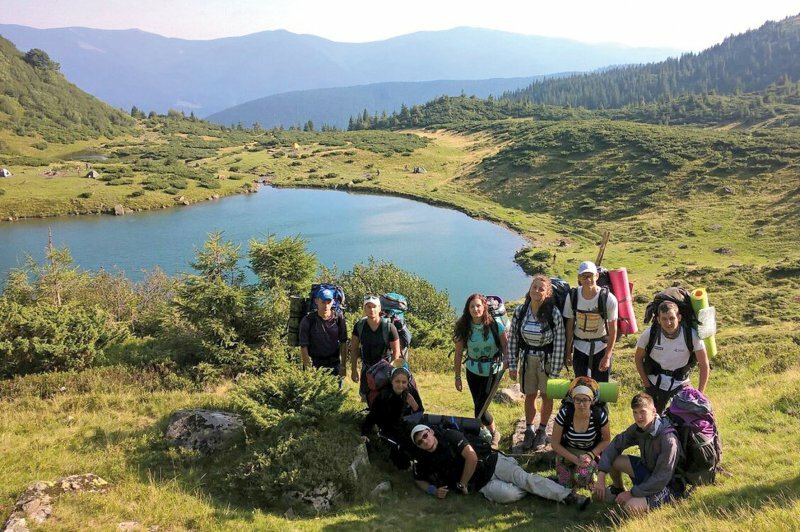 Now as a well-versed traveler Yulia shares her experience with others and invites in the mountains her friends from Kyiv. “Life in the camp,” Yulia shares her impressions, “is based on contrasts between the extreme and the beautiful. Exhausting climbs lengthen into the feeling of victory on the top and are compensated by breathtaking views. And vigilance to the new people in the camp turns into heartwarming get-together around the campfire and further friendship. Yulia quitted her summer part-time job to arrive into the camp. So, in autumn she will be busy searching for a new job. “I'll think about it tomorrow,” Yulia responds airily with the words of her favourite heroine. A job, studying, polluted Kyiv, all these will be afterwards. But now they are in a fabulous place with a great company enjoy their youth and life.